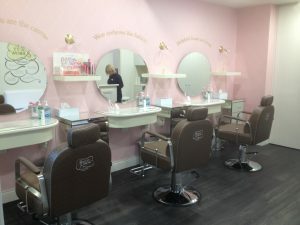 Recently opened, this quaint new space pampers customers with a variety of beauty services and products. Their beauticians specialise in threading, waxing, eyelash/eyebrow tinting, eyelash extensions, makeup, facial and skin care treatment, all at very affordable prices. Originally established in May 2013, The Beauty & Brow Parlour now has over 25 stores in Melbourne and Victoria as well as one each in Adelaide and Sydney. Brunswick is their latest store, but they also have plans to expand all over Australia shortly. One of those businesses you just can’t get ‘online’!